Dan P. McAdams, a renowned psychologist who delved into the research area that Erik Erikson opened up on human psycho-maturity development, wrote in one of his last works, "The price we pay for self-regulation is misery. But the alternative is worse: pure chaos" (McAdams, 2015 p. 97). McAdams says this knowing that regulation can lead to great evils, just as Freud showed when it comes to repression. On the other hand, McAdams also takes into account the situation of lawlessness and chaos that is easy to see when human beings are left to pure spontaneity. In face of the fear and chaos that emerges when adolescents experiment with risky behaviors (alcoholism, drugs, etc. ), it seems that regulation is a "lesser evil," i.e., the "price we have to pay." With this decision made, it still remains to set a goal, since all regulation serves a purpose, if and only if there is a previously defined goal to attain. It seems that we have not identified an alternative to chaos other than regulation. UpToYou’s theoretical basis is found in seeking this undiscovered alternative out. The regulatory model of emotion is indisputably the model adopted by the scientific community and by prevailing emotional education programs. Instead, after four years of research and in order to better characterize emotional education, UpToYou proposes a model that puts integration in service of growth. Different philosophical perspectives underpin each model. 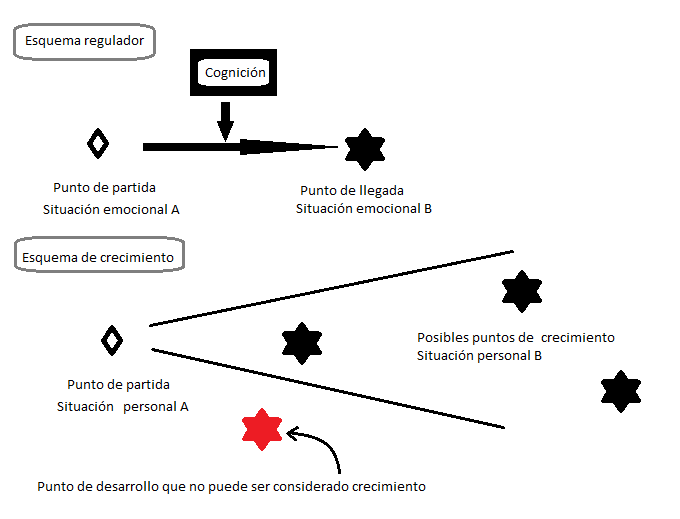 While the regulatory model of emotion is based on a modern philosophical conception, the integrative model of emotion is based on the conjunction of ancient, modern and personalist philosophy that is hierarchical starting with personalism, in accordance with Polo’s proposal. Therefore, this new model does not reject the regulatory view outright, but rather corrects it by looking at it a different way and taking advantage of what it has to offer. It does not reject the modern view, but rather puts it in another context. It does, however, reject an educational proposal that rests exclusively on the modern view. In terms of emotion, this correction translated to changing the model from regulation to integration. In the field of neuroscience, there is a debate on understanding brain functioning as various network modules that relate to mental functions or as a systemic brain functioning of the whole brain such that networks cannot be directly related to functions. The former includes a variety of modules, such as one module for emotional aspects and another for visual aspects. In contrast, in the latter view, no mental process is reached, but rather an integrated update is found in the entire brain because everything participates, though not all in the same way, according to temporary neural assemblies. This modular understanding fits with emotional regulation since the cognitive module controls the emotional side. By contrast, the integrative understanding of temporal neural assemblies does so with emotional integration, where both emotion and cognition are due to integrated operations and a new way of functioning in the entire brain is expected. 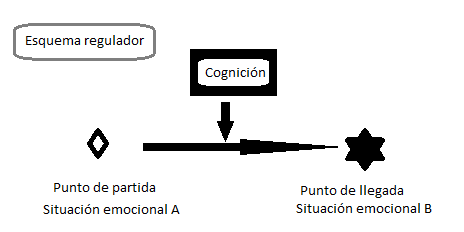 On the level of psychology, the same debate is maintained between (a) a view of human beings in which development plays out in the tone of self-mastery, self-control, self-determination and (b) in the tone of accepting what has been received and perfecting it with a clear role given to inter-personal relationships, not as a means, but rather as a personal reference. In the former view, human beings progress by spreading their mastery to different domains or fields such that it appears that they increasingly conquer new territory. In the former view, human beings experience growth overall and do not increasingly conquer domains, but rather different aspects grow in a co-maturation process. The view of domains is consistent with emotional regulation, while the personal growth view coincides with emotional integration. Thus emerges a schema from philosophy, neuroscience and psychology that includes a clear logical connection between these fields and is based on a certain view of emotion. a) A regulatory-regulated distance. This calls for a cognitive module and an emotional module that are identifiable. c) A cognitive module hierarchically related to the emotional module such that a change is generated in the emotional module. Thus, the cognitive module remains basically stable and the emotional one experiences change. a) No cerebral modules. It includes overall brain functioning where all mental processes arise, including cognition and emotion. b) One’s emotional situation is a path toward personal knowledge and is used to discover one’s state and, from there, to propose means towards personal growth. Growth leads to finding that the arrival point is no longer identifiable. This does not mean that all types of development can be described as growth. As a visual, a cone is drawn below; all interior points of the cone can be described as growth situations and the outer point (the red star) does not qualify as growth. c) When growth occurs, all elements change because of the relationship between them. There is no sector-based growth.